Home » » Abia State Police Commissioner Removed And Immediately Replaced. Abia State Police Commissioner Removed And Immediately Replaced. The police boss in Abia State, Leye Oyebade has been removed from his duty post and replaced immediately without reasons made public. The Police High Command has transferred the Abia State Commissioner of Police Mr Leye Oyebade from Abia State. CP Micheal Anthony Ogbizi has taken over from Leye Oyebade as new commissioner of Police Abia state. The newly-appointed Commissioner of Police, Abia State, Mr. Anthony Ogbizi, assumed office on Thursday, with a call on residents to be law abiding and ensure peace in the state. The News Agency of Nigeria reports that Ogbizi took over from Mr Adeleye Oyebade after a brief hand over ceremony at the command’s headquarters in Umuahia. The new Commissioner of Police condemned the razing of Ariaria Police Station in Aba and expressed his resolve to work hard to make Abia safe for all. Ogbizi warned against clamour for the disintegration of the country, saying there would never be “a republic within a republic”. Earlier, Oyebade thanked the Inspector-General of Police, Mr. Ibrahim Idris, for the opportunity to serve in the state. 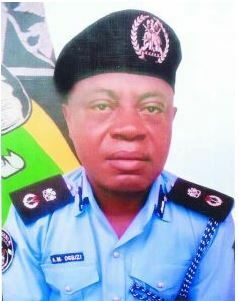 NAN reports that Ogbizi was recently appointed the new police commissioner for Abia following the posting of new commissioners of police to some states. The Nigerian army has agreed to withdraw soldiers from Aba and Umuahia in Abia state. According to The Cable, Okezie Ikpeazu, Abia state governor, made the announcement of the withdrawal of troops during a press conference on Thursday.